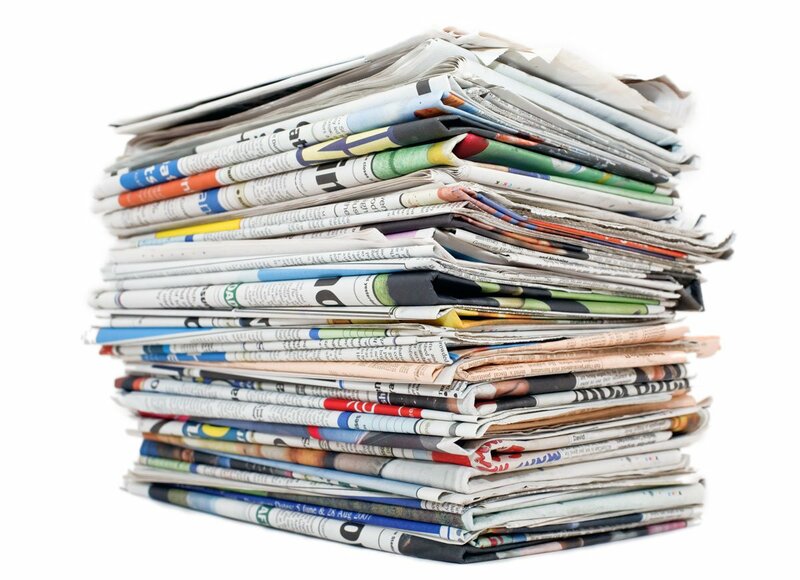 I operated under a number of principles during more than 30 years in daily print journalism. I always sought to be fair; accuracy was critical. I also never took myself more seriously than I took my craft. The readers of the newspapers where I worked all served as great equalizers. I started my newspaper reporting career full time in 1977 at the Oregon City (Ore.) Enterprise-Courier; I gravitated in 1984 to the Beaumont Enterprise in Texas; and then in 1995 I moved on to the Amarillo Globe-News. All along the way I contended with readers who shared a common quality. They generally lived in the communities we covered. Thus, they had skin in the game; they had vested interests in their cities and towns. So if I wrote something with which they disagreed and they took the time to call me to discuss their disagreements I tended to take them seriously. I tried to learn something about the communities where I worked. Readers often were great teachers. They would scold me. They would chide me. They mostly were respectful when they disagreed with whatever I wrote, how I reported a story or offered an opinion on an issue the newspaper had covered on its news pages. I always sought to return the respect when they called. To be sure, not everyone fit that description. More than few of them over all those years were visibly, viscerally angry when they called to complain. I tried to maintain a civil tongue when responding to them. I’ll be candid, though, in admitting that at times my temper flared. I usually didn’t mind someone challenging the facts I would present in a news story, or in an editorial, or in a column. I did mind individuals who would challenge my motives, or ascribe nefarious intent where none existed. And every once in a great while I would a reader challenge my patriotism and even my religious faith. That’s where I drew the line. However, over the span of time I pursued the craft I loved from the moment I began studying it in college I sought to maintain a level of perspective. I took my job seriously. I always sought to remember that all human beings are flawed. News about Israeli Prime Minister Benjamin Netanyahu’s pending indictment on corruption charges brings to mind an interview that didn’t occur, but one that I worked real hard to get. While I was working as editorial page editor of the Amarillo (Texas) Globe-News, I received a life-changing opportunity: I would be allowed to lead a Rotary International Group Study Exchange team to Israel; we spent four weeks there, meeting with professional peers and living with host families who showed us one of the world’s most fascinating countries. I went there as a member of Rotary, but I did not forsake my professional responsibility. So, with that I sought to score an interview in May-June 2009 with Benjamin Netanyahu. How did I make the effort? I got in touch with the Israeli consulate in Houston and became acquainted with the consulate’s press officer. I asked him if it was possible to meet with the prime minister. He wasn’t very receptive. I kept working on him. I told the young man that since I was going to be in Israel for four weeks that I could take some time away from my schedule as a Rotary team leader to meet with the prime minister. I didn’t require a lot of time. Maybe a half hour would suffice. An hour would be better. Indeed, in the weeks prior to our arrival in Israel, the Israelis were putting down an armed rebellion among Palestinians living in Gaza. There was some concern from our Rotary district that the State Department would disallow us to travel there. It’s too dangerous. Well, the Israelis put down the rebellion. Gaza settled down. I wanted to talk to Netanyahu about all that and wanted to discuss Middle East security in general. Who better to talk about that with an American journalist than the Israeli prime minister? The consulate’s flack then asked me about the circulation of the newspaper that employed me. I told him that the G-N was part of a group of newspapers that circulated to many thousands more readers. The interview could get significant coverage in all the papers. Just allow me to speak to the prime minister and I would arrange to get the Morris Communications news bureau to distribute it among all the papers within our group. I didn’t get the interview, which saddened me greatly. The Israeli flack said Netanyahu would be in-country while we were there. He just didn’t have the time to meet with me. That all said, my position at the Globe-News allowed me to join a Rotary club in Amarillo, which led to my being allowed to lead this team of young professionals to the other side of the world. I’ll have more to say about that journey later on. The Benjamin Netanyahu interview was a near miss, but I had a blast trying to secure it. Who would have thought this was possible? 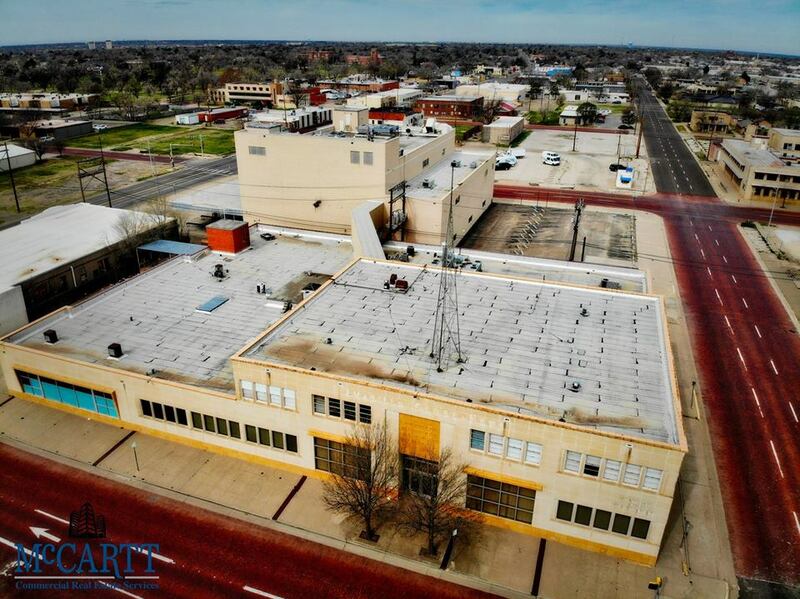 A group that took over control of a long-abandoned hospital campus has pitched the Amarillo City Council for a plan to provide about 125 low-income housing units. The project is far from a done deal, but knowing the leader of the refurbishing effort as I do, I will not be surprised to see this dream come true. 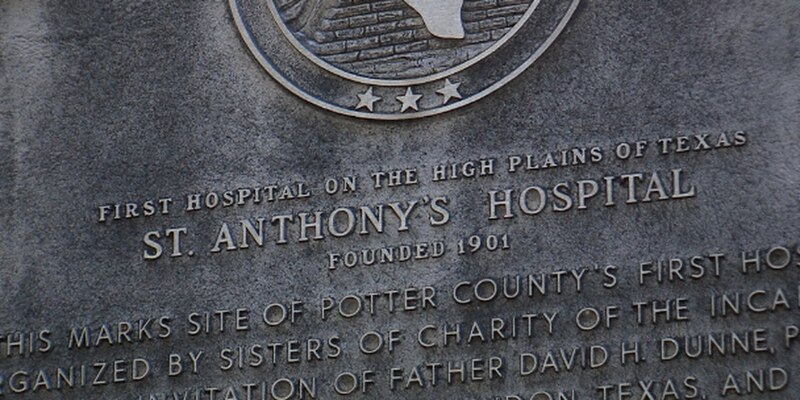 St. Anthony’s Hospital went dark after the medical complex merged with High Plains Baptist Hospital about two decades ago. It has sat vacant along Amarillo Boulevard and Polk Street ever since. Mary Emeny, who heads a group called St. Anthony’s Legacy and Redevelopment Corporation, talked the City Council into giving its approval. Emeny’s group has filed application for tax credits from the Texas Department of Housing and Community Affairs. Emeny, a former Amarillo Globe-News Woman of the Year, wants to convert the campus into a housing complex that would provide about 125 units. I’ve known Mary Emeny for some time. She is a force of nature. Emeny wants construction to start in March 2020; she says it will take about a year and a half to complete. As KFDA NewsChannel 10 reports: While the plan would be to serve elderly residents, the building will address other needs in the community. “We’re hoping we can put a day care center on the first floor. Daycare is a real need up in that area as well. Seniors and daycare is a natural fit,” said Emeny. I took a tour of the St. Anthony’s complex a few years ago when I was working as a freelance writer for NewsChannel 10’s website. The former owner walked me through the structure. Yes, it is a mess. Vandals had damaged it. The building was not secure. Emeny’s outfit has a big job ahead of it. I wish them well. I also am hopeful that the St. Anthony’s redevelopment effort to revive a structure that fulfills a serious community need: affordable housing for those in dire need of it. 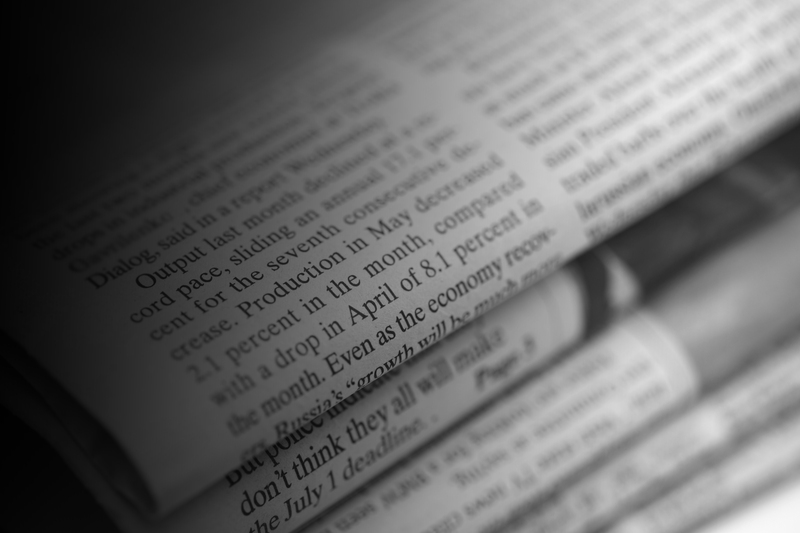 It’s no secret that newspapers are cutting staff to maintain their profitability in the face of the changing media climate that has produced declining circulation and advertising revenue. The Amarillo Globe-News in Texas is no exception — quite obviously! — to that trend. The G-N, indeed, managed to eliminate its entire photo staff over time, instructing the reporters it has left on staff to shoot their own pictures while covering events. Well, guess what! That isn’t a new notion for some of us who got their start in small-town newspapering back in the day. My reporting career began full-time in the spring of 1977. I got hired at the Oregon City (Ore.) Enterprise-Courier as a temporary sports writer; the sports editor, one of the very few women in the business, had taken maternity leave to give birth to her daughter. The editor of the paper needed someone to fill in. I applied; he hired me; then a position opened up on the news staff and I was allowed to stay after the sports editor returned from her leave. Part of my job was to take pictures along with reporting on events I was covering. Football games? Basketball games? Wrestling matches? I packed my notebook and pen — and a camera! Then I became a general assignment news reporter, so I took my camera to city council, school board and county commission meetings. I had to take what we called “wild art” photos we would publish without a story accompanying them. 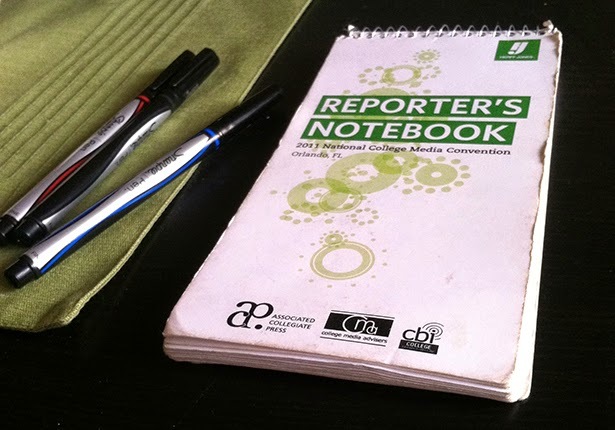 I knew how to report on those events and how to write about them in cogent manner. Photography was a brand new concept. I had to learn about “photo composition” and how to eliminated “dead space” in pictures. Yes, those were days when reporting and writing also include plenty of picture-taking. We were well-rounded back then, just as reporters today are being asked to become more well-rounded now. I learned a great deal during more than 37 years working in print journalism. I learned that criticism of my work usually kept me humble and that no one is totally right or totally wrong. My interaction with readers was mostly invigorating and always instructive at some level. 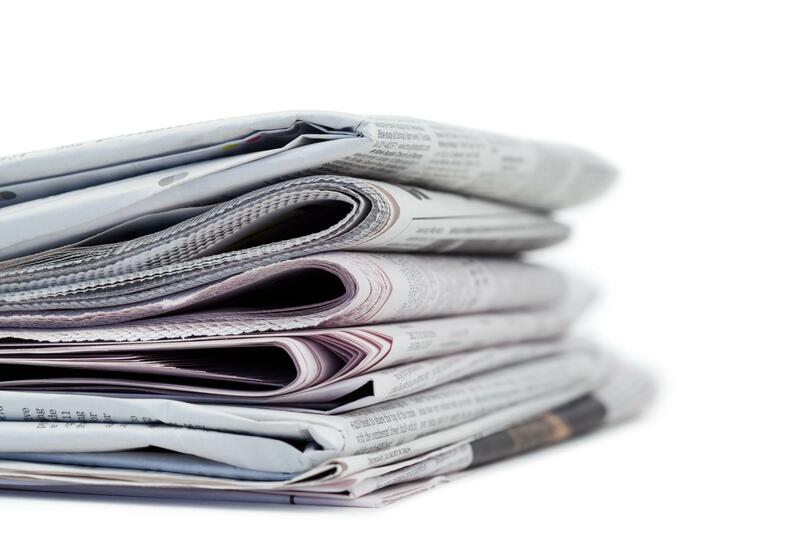 Readers would challenge our newspapers’ editorial policy or would take me personally to task for opinions I would express in my signed columns. Indeed, I get a good bit of that even now writing this blog and sharing my views with a worldwide audience. A few callers stand out. Once, at the Beaumont Enterprise, I wrote a column endorsing the idea of mandatory helmet laws for Texas motorcycle riders. A reader from Orange County called to challenge me on my view. He thought it was an invasion of his personal liberty. The state didn’t have the right, he said, to order him to wear a helmet if he didn’t want to do it. I asked him what does the helmet deprive him. He answered with what I presume was a straight face: He didn’t want to be deprived of the wind blowing through his hair. Suffice to say we didn’t change each other’s mind. At the Amarillo Globe-News, the newspaper endorsed the notion of installing red-light cameras to catch those who ran through red lights. They are breaking the law. Police can’t be everywhere at once, so the city deployed the cameras to catch the offenders. One fellow, a prominent lawyer in Amarillo, argued with me that the cameras deprived him of the right to “face my accuser.” We did argue over that idea. I reminded him that offenders have the right to appeal. They could argue their case in front of the municipal judge. If they’re effective defenders of themselves, the judge could overrule the citation that was issued. What’s wrong with that process? I asked him. Again, we agreed to disagree on that one. One of my all-time favorite calls came from a reader in Amarillo. She had submitted a letter to the editor. She wanted us to publish it. One of my jobs as editorial page editor was to screen letters; not all of them saw print, although most of them did. This particular letter contained a false assertion. I decided the letter wouldn’t see print. The writer called to inquire about the letter. I informed her I wouldn’t publish it. She became indignant. She asked, “Why not?” I told her it contained a falsehood and that the newspaper would not foment misinformation. My give-and-take with readers gave me a wonderful insight into our constituencies. I always tend to look for the good in people and I found that most of those who took the time to write to us and to discuss their submissions had noble intentions. They also taught me about the world, and about the communities where we all lived and worked. It gave me great pleasure to interact with them.